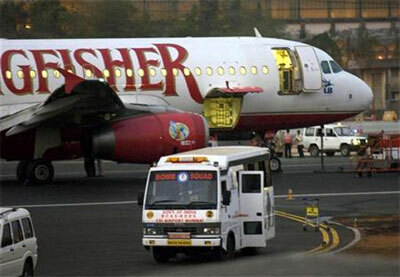 The 17 lenders to the grounded Kingfisher Airlines, led by State Bank of India, decided, on Saturday, to auction assets of the defunct carrier in their latest bid to recover part of their dues of about Rs 8,000 crore (Rs 80 billion), which have not been serviced since January 2013. The assets to be e-auctioned on December 7 include the equipment and movable assets of the grounded airline and not bigger properties like the Kingfisher House in Mumbai and the Kingfisher Villa in Goa. Both have been taken over by the lenders in recent past. In a notice issued in Mumbai on Saturday, SBICap Trustee, which is a security trustee for the lenders consortium to the airline, said it would e-auction the cars, towing machines, forklifts, tractors, fire extinguishers, and iron ladders, among others, of the carrier under their possession. SBICap Trustee, an arm of SBI, has set a reserve price of Rs 65 lakh (Rs 6.5 million), and said the auction will be conducted on December 7. "The persons interested in participating in the e-auction may confirm their participation by depositing with the seller 10 per cent of the reserve price as earnest money deposit as a confirmation," the notice said, adding that the last day for registration for e-auction is December 2. It can be recalled that Kingfisher Airlines, started by liquor baron Vijay Mallya in May 2005 with much fanfare, went onto become the second largest in its heydays even though it never made a single penny in profit. As cashflow issues mounted on the airline, it has remained grounded since October 2012, and the airline lost its flying licence two months later. The SBI-led lenders consortium had taken over the tony Kingfisher House near city airport in February worth around Rs 150 crore (Rs 1.5 billion), after winning the case in the local court. They have also taken over the Kingfisher Villa in Goa, worth around Rs 90 crore (Rs 900 million). So far, the lenders have recovered around Rs 1,100 crore (Rs 11 billion) from their original exposure of Rs 6,900 crore (Rs 69 billion) by selling pledged shares and other monetisable collaterals. Banks are now charging 15.5 per cent compounded interest on this principal amount, which have not been serviced since January, 2013.